Helmi - the last authentic ship of this type! Helmi was built in the early 1880s by Erik Andersson of Svartlöga with a home port at Blidö 1887-1946. It´s the last authentic ship of this type "Sandkil" (Sand carrier). 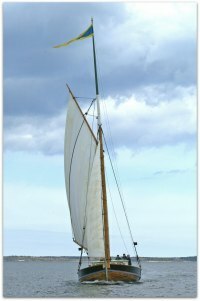 The 125 year old ship have a long history of sailing in the archipelago of Stockholm. Vedjakten (The Fire Wood carrier) Sofia Linnéa. However, quite sensationally it was discovered that in 1986, one single original of a "Sandkil"
(Sand Carrier) actually existed - Helmi was found. In poor condition and with a battered hull she was donated to The National Maritime Museum by her finders Kjell and Anders Justrell. The museum also commissioned the boat builder Kjell Justrell to renovate the hull. glory thanks to The National Maritime Museum and The Association - Friends of Helmi on Blidö. The Association - Friends of Helmi is now the formal owner with the responsibility to preserve this unique ship for future generations. Helmi is a very important part of the archipelago's history and cultural heritage - she is also a listed heritage ship! She is a great symbol for the prosperous and vital Blidö Community. 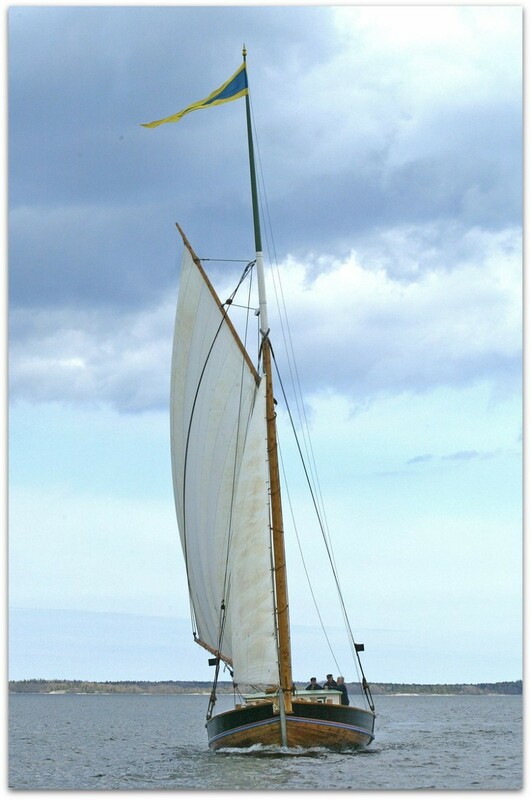 She is now used for education and sail-training, youth activities, sailing tours for members, sponsors, etc. A more detailed brochure "The History of Helmi" can be purchased through The Association - Friends of Helmi for those seeking more information, please check out the shop! You are also welcome to visit Helmi, in here her new home port on Blidö.